I know what you are thinking…..Christmas Minis Sessions already??! How can it be when the weather has yet to cool down?? Last week when I was setting up the set in studio, my 3 year old thought that it was Christmas time already. Tis the photographer’s child syndrome, Mommy is always thinking 4 months ahead! 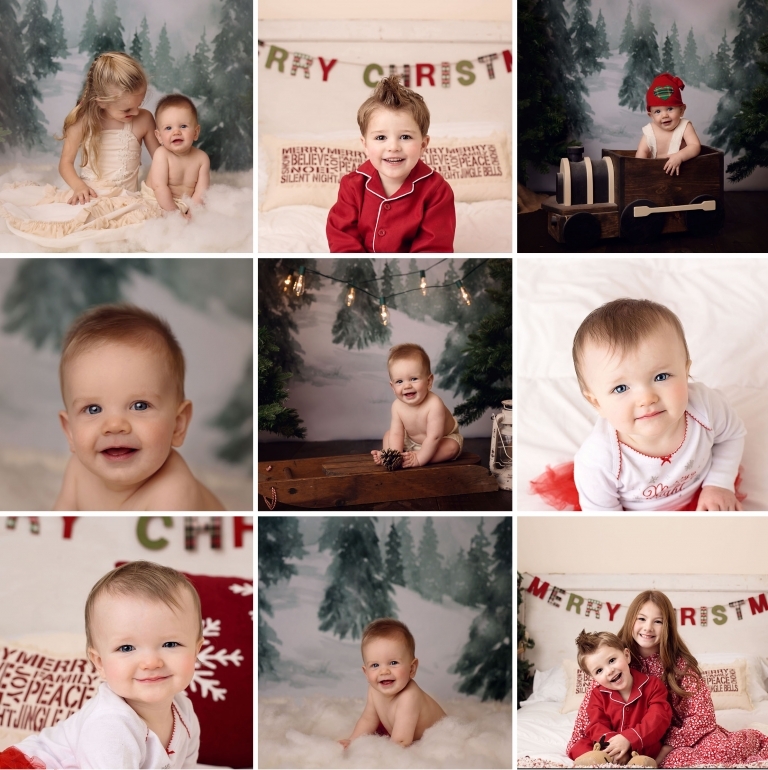 Christmas Mini Sessions will be held on November 19 this year at the studio in Medina Ohio! Since last year was so terribly cold outside, Crystal and I decided to move the outdoors in this year with our tree farm set! No more teeth chattering and freezing in those oh so adorable Christmas outfits! We will also be doing a bed set, so feel free to bring your kiddos in their pajamas! Booking will begin on September 25 at 8:00 pm here– spots will go quickly, so set your alarm on your phone! We have a limited number of spots so once they are gone, that’s it! Each session will be 20 minutes long. This is plenty of time for Crystal and I to get your session done- feel free to relax while your little ones are photographed. The mini sessions include 5 digital images with release to print. Holiday cards will be available! Let us make December a little easier for you! Warm kiddos = happy kiddos! We can’t wait to see you in November! Many thanks to the sweet kiddos and families who make our job possible. It is so amazing to catch up with these families every year! While you are here, please feel free to check out last year’s Christmas Mini Sessions, the portfolio, or newborn session information. Thank you so much for stopping by! Mary Christine Photography is a Medina Photographer specializing in newborn photography. She serves greater Northeast Ohio, including Cleveland, Akron, Medina, Wooster, Brunswick, Wadsworth, and surrounding areas.